The Estée Edit Gritty & Glow Magnetic Eye and Face Palette for Holiday 2016 | Top Beauty Blog in the Philippines covering Makeup Reviews, Swatches, Skincare and More! I am so in love with these two new limited-edition eye and face palettes from The Estée Edit. The packaging and the colors – especially in the Gritty palette is just so beautiful. Perfect for creating a variety of dramatic eye looks – which I am a huge fan of. 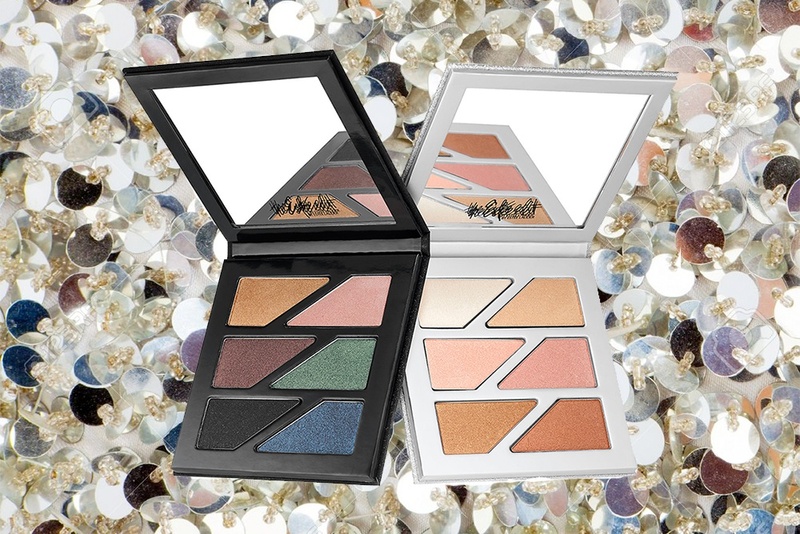 Get edgy, gorgeous makeup looks with the Gritty & Glow Magnetic Eye and Face Palette. These two palettes feature six shades that are formulated with tiny pearl particles for the most elegant, glistening sheen. These silky-soft, creamy formulas are designed to be super blendable for easy application. The two mirrored compacts are also magnetic so they can be clicked together for easy portability. Create high-impact eyes with the Gritty Eye Palette, featuring six highly-pigmented pearlized shadows for intense depth and the ultimate smoky eye. These shades range from Swerve (a golden copper for a burnished metallic effect) to Mood (a midnight black with subtle multi-sparkle pearls for starry, smoldering eyes), to Riff (a champagne rose gold for a soft, shimmering wash of color). Just layer and blend to create your own audacious eye look. Get glowing with the Glow Face + Eye Palette, featuring six universally flattering highlighter shades for cheeks and eyes. These ultra-pearlized colors are flattering on all skintones with shades in platinum gold, rose quartz, and sunset bronze. Use the lighter shades to highlight your favorite glow zones, including the cheekbones, Cupid’s bow, browbone, or the inner corners of your eyes. Use the deeper shades to bring additional dimension to eyes or shading to the cheeks. Then mix and match to customize your own glow. I just love this time of year with all the holiday palettes coming out. Love the Estee edit one, gorgeous colors. These both look really pretty! I have been loving dark shades. I love this brand. These palettes are amazing and you can create so many looks with them.